Lithuanian Minister of Foreign Affairs Linas Linkevičius has no doubt that the original name spelling issue, postponed by the Seimas of Lithuania earlier in the day, will eventually be resolved. He adds that the issue is, first of all, important for the country's domestic, and not foreign policy. "I really want the issue to be resolved and preparations need to be done for it to be resolved. In my opinion, Seimas members are probably not sure proper preparations have been done for this issue. We must act responsibly and we cannot do that without being sure. I have no doubt it will eventually be resolved," the minister told BNS on Tuesday. 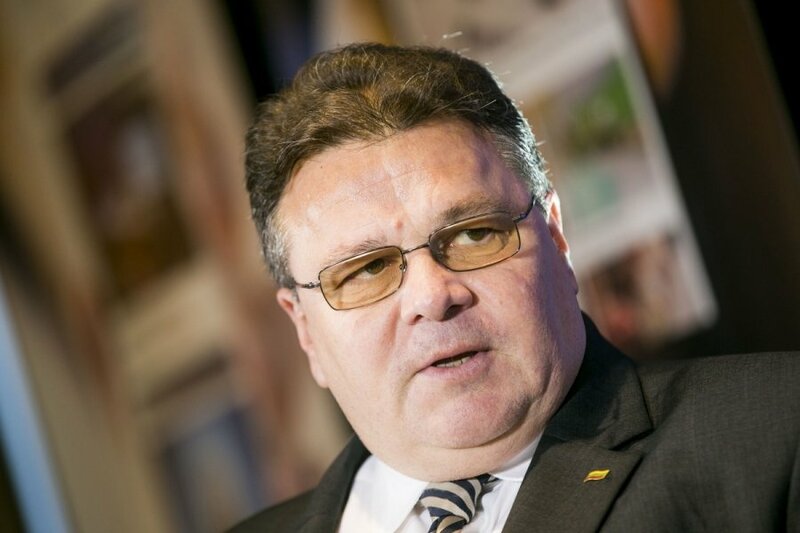 "We are doing this for Lithuania for citizens of all nationalities." The Seimas had planned to get back to controversial issue of name spelling on Tuesday, which is the last day of the parliament's spring session, but it was removed from the agenda on Monday night and moved to the parliament's fall session. The Lithuanian Seimas' Legal Affairs Committee has already backed the use of Latin alphabet letters for the spelling of names and surnames of Lithuanian citizens in ID documents. The committee suggests ensuring that Lithuanian Republic citizens should be allowed to spell their name and surname using Latin letters if their name is spelled using Latin letters in the source document. The source document might, for example, be the passport of a foreigner married to a Lithuanian woman. Meanwhile the State Commission of the Lithuanian Language reiterated its position that letters q, w and x could only be used for the spelling of names of Lithuanian citizens married to foreigners, their children and foreigners who gained Lithuanian citizenship. An alternative bill on the spelling of names in ID documents has also been presented to the parliament, allowing the original name spelling only on a separate passport page. Lawmakers have also registered several alternatives to the Social Democratic bill but they were subsequently rejected by the Legal Affairs Committee. Current laws stipulate that last names of all Lithuanian citizens can only be spelled in characters of the Lithuanian alphabet which does not include letters w, x or q. Supporters of the amendments maintain that this causes problems for Lithuanians who marry foreign nationals. Politicians of the Polish community in Lithuania and their supporters in Poland have long been asking to allow Polish letters in the last names of Polish speakers, an issue that has been emerging in the bilateral Lithuanian-Polish relations. Critics say that non-Lithuanian characters would undermine the status of the Lithuanian language as the official language and, furthermore, can cause trouble in reading non-Lithuanian last names.